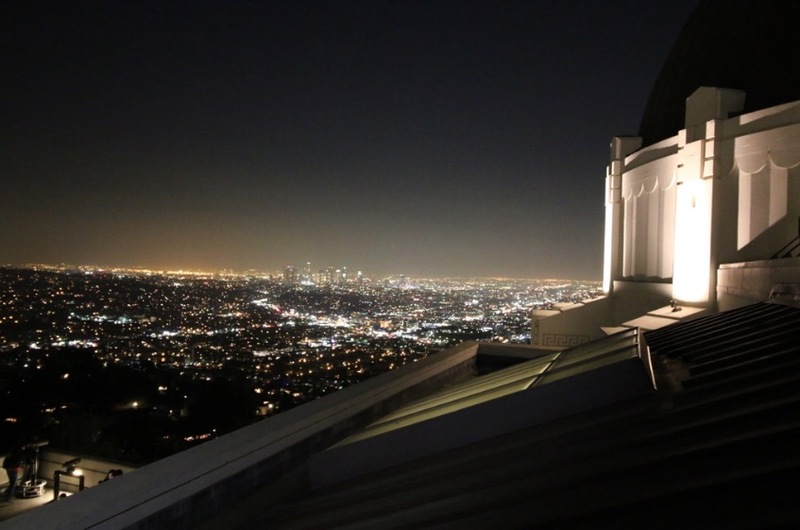 While free public telescopes are available each evening the Griffith Observatory is open and skies are clear (along with telescope demonstrators are available to guide visitors in observing), on one special Saturday every month the Observatory hosts a free public star party to highlight interest in observing the cosmos. The event is a great chance to try out a variety of telescopes, check out visible objects of our solar system (Sun, Moon, and visible planets), and perhaps best of all the parties provide a forum to exchange ideas and talk to knowledgeable amateur astronomers. The star parties take place from 2:00 p.m. to 9:45 p.m. and are lead by volunteers from the Los Angeles Astronomical Society, the Los Angeles Sidewalk Astronomers, and The Planetary Society. We’ve listed the dates for 2016 schedule of star parties below. View from the Observatory at night. Credit: Brian Champlin / We Like L.A.